It’s extremely easy to go out and buy a birthday cake for your child’s birthday party. However, nothing beats the satisfaction of baking the cake, and decorating it yourself. There is something extremely satisfying about seeing your child’s face light up with joy when you bring the cake out lit beautifully with candles. Of course, the joy will be yours too, especially if you have made the cake and decorated it yourself. For some people, decorating birthday cakes comes easy; for others though, it’s not always a simple task. A few tips and decorating secrets will help anyone on their way to creating a beautiful masterpiece that your children will love. Birthday Cake Decorating Books - There are a number of good cake decorating books available to buy or to order from your local library. These books will show you exactly how to decorate your child’s birthday cake by detailed pictures and text. Cake Decorating Websites - There are lots of websites on the Internet that are dedicated to teaching people with no experience how to professionally decorate a child’s birthday cake. You may have to search on a website that deals with lots of different types of cakes; however, they should have an extensive child’s birthday cake section. Cake Decorating Courses – Many local craft shops or cake shops have courses that teach people how to decorate all kinds of cakes. You may be able to find specialist courses that deal only with child’s birthday cakes. Check your local listings to see if there are courses near you. There are, of course, pros and cons to each of the above options. You may find that some of the beginners’ books that aim to teach you about cake decorating are not really for beginners. They may be quite complicated, and they may feature decorating techniques which are tedious and difficult. The best way to avoid buying the wrong cake decorating book is to borrow them from the library first; or you could ask friends and family if they have any books you could borrow for a while. This is a good way to make sure you don’t spend hard earned money on a book that will become dusty on a shelf! Some of the cake decorating courses available are fantastic for showing you how to deal with the basics before showing advanced decorating techniques. The course may not be specifically for children’s birthday cakes; however, there should be a section within the course that covers decorating children’s cakes. Different types of equipment, tools, utensils and preparation techniques that you will need. Baking different types of cakes. The different decorating techniques that you can use. Decorating birthday cakes with butter cream icing. Decorating birthday cakes with royal icing. Decorating birthday cakes with, and making, sugar flowers. 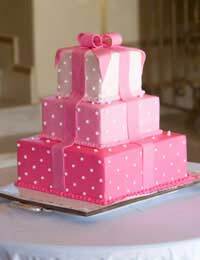 Creative decorating for children’s birthday cakes, christening cakes and so on. Making and decorating Christmas cakes – the course may also look at other holidays such as Easter etc. Recipes for different types of icing. Of course, not all courses will have the same lesson plans as the examples above, but the majority will cover the subjects listed. If you want to learn how to decorate your children’s birthday cakes: a combination of books, courses and resources on the Internet is a good way to make sure you have all the information available. Learning how to decorate children’s cakes doesn’t have to be difficult – start simple and work your way up to the more complicated decorations.